I think why I love the Christmas season so much is that it is filled with so many traditions. Traditions of family, friends, and food. Time spent in the snow, around a table, or under the lights of the Christmas tree. No matter what your Christmas traditions bring, there is always something to do during the holiday season. Here is my 25 Days of Christmas Activities list of traditions for the whole month of December. 25 Days of Christmas Activities- December 1st: O Christmas Tree! Some families can’t wait until the tree goes up for Christmas and start prepping it the day after Thanksgiving (raises hand). No matter what your time schedule is, putting up and/or picking out the Christmas Tree is a prime time to make family memories. Put on some of your favorite Christmas music and haul the boxes from the attic. It may be best to have the adults set up the tree, but when it comes to decorating make sure everyone has a chance to hang their favorite ornaments. I always love reminiscing about the different ornaments like “Baby’s First Christmas” or an ornament that was picked up on vacation 8 years ago. For added fun, take a family picture in front of your decorated tree. It will be fun to look back in years to come to see how everyone (and the tree) has changed. Every year mom and I pick out 4-5 Christmas cookies and candies that we would like to make and then spend a Saturday in December making the goodies in an all out bake fest. Invite some family and friends over. Each person is in charge of bringing a recipe and the ingredients to make the cookies. Also extra hands make less work when it comes time for clean up. 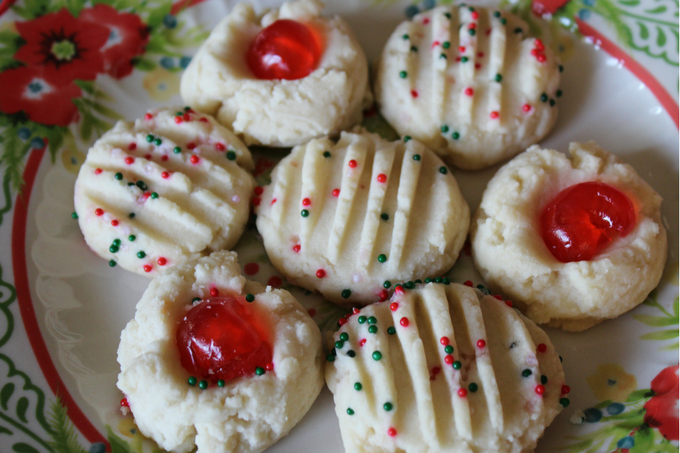 Now I realize no one probably needs 4 dozen sugar cookie reindeer sitting in their house for the whole month of December (no matter how many pop-in guests you may have). Package up a variety pack of the cookies and candies made yesterday and spend today delivering tasty treats to family and friends. Baked goods make great gifts that the recipients can then turn around and share with their own Christmas guests. Sending things in the mail has somewhat become a thing of the past, but I can’t tell you how excited I get receiving cards from family and friends in my mailbox throughout the month of December. I have an equal love of both a handwritten card or a postcard of family pictures taken throughout the year. Just keeping in touch puts a smile on my face. Get the kids involved with stuffing the envelope and adding the stamps. Who doesn’t love listening to 5 year olds sing “Up on the Housetop”? Take in your children’s (or grandchildren’s) school holiday concert or play. No kids currently in school? Go anyway. If anything it’s free entertainment wrapped up in holiday charm. After getting home from the concert, have your children place a shoe outside their bedroom door (or another designated spot). Rumor has it that St. Nicholas will visit through the night and stick a few gifts (candy canes, fruit, or small presents) in their shoe for a fun surprise on the morning of December 6th. Finish the day by writing your wishlist to Santa and sending them to the North Pole. A local town has a designated “Christmas Shop Hop” one night during the holiday season. The small town stores stay open later hours and serve up appetizers, holiday cheer and major discounts. It’s a great way to support your local community and stock up on some unique finds for people on you shopping list while listening to Christmas music play through speakers set up on Main Street. If your town doesn’t have a designated “shop hop”, no worries, grab a couple friends, dress warm and together do a little excursion to cut down on your Christmas shopping lists. Or I’ll be honest. Some days online shopping in my yoga pants sounds pretty darn good to. Here is a list of some of my favorite Christmas ideas. With all of the hustle and bustle of the season, my favorite nights are those spent relaxing at home. Tonight order a pizza and turn on your favorite Christmas movie while the family picnics around the lights of the Christmas tree. Your favorite Christmas classic isn’t on tonight? I own the DVDs (Bing Crosby’s classic “White Christmas” or Hallmark’s “The Christmas Card”) to a few of my favorite Christmas movies, so they are at the ready whenever I want. If I haven’t mentioned it before, I will now… My family is extremely competitive and it makes game night a blast. Bring out some board games and serve up your kid’s favorite munchies. Or send the kids to grandma and grandpas for the day and invite friends over for “Adult Game Night” Apples to Apples after 3 glasses of wine~ Sounds good to me! In the Midwest we get snow, but sometimes it is hit or miss on if we get much snow before Christmas. If it’s a winter wonderland outside spend some time sledding, having a snow ball fight, or trying your hand at ice skating. On the other hand if there is no snow to be found, grab pillows and blankets to set up the greatest indoor fort possible! 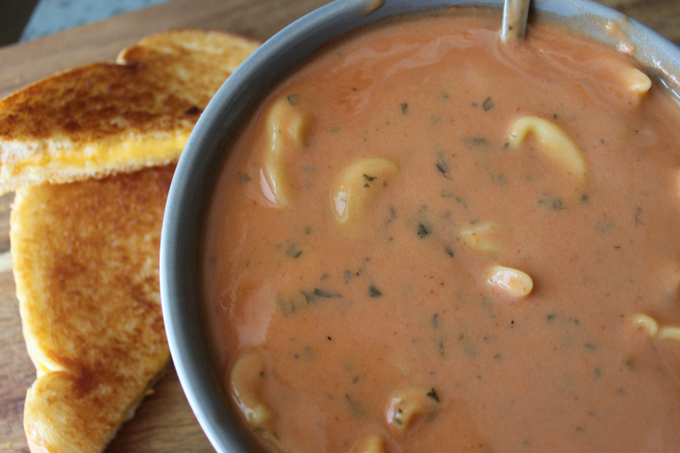 Finish the day with a bowl of soup that’s been warming in the slow cooker all day. Pinterest is full of great homemade ornament ideas. Whether it is a colored hand print or a coffee filter snowflake, making a new ornament with your child is a great way to add decorations to your tree and a wonderful keepsake for years to come. 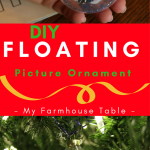 Try your hand at these DIY Floating Picture Ornaments. I love a great reminder of, the reason for the season. Pack up the kids and go to a live nativity scene. No live nativity scene in your area? Let everyone take a chance to set up a figurine in your personal nativity scene. It’s important to remember the holidays are more than just food, ribbons, and presents. Read the passage of Jesus’ birth and talk about the true reason for this holiday season. December is a great chance to give back to those that have hit a rough patch in life or just need a little extra assistance. Teach your family early the value of volunteering and giving back to your community. So many charity programs are looking for assistance this time of year. “Adopt a Family” and take the kids on a shopping trip to pick out Christmas gifts for a family in need. Volunteer at a soup kitchen, take an elderly neighbor to get some groceries, pay for that cup of coffee for the next person in line, or donate items to a local animal shelter. The opportunities are endless and no reason it should just be contained to Christmas time. You’ve already sent him a letter to the North Pole, but why not also take the chance to visit with Santa in person? If anything it makes a great yearly picture. Grab a group of family and friends, bundle up and walk around the neighborhood spreading good cheer. Since this is a little harder to do in the country, my family would often go to a local nursing home and sing Christmas tunes, play the “Little Drummer Boy” on the piano, and I was known to put a tap dance routine together to Christmas classics. I’m sure there is a picture somewhere. Residents love the personal Christmas concert and it is another great way to give back. Usually the weekend before Christmas I spend the days baking. 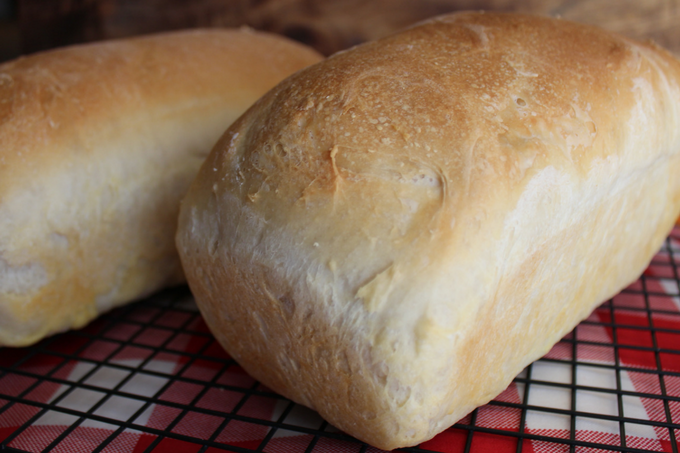 My co-workers and I exchange gifts each year and instead of buying little nik-naks that they may or may not use each year, they have come to expect me showing up bearing gifts of homemade bread. It is a gift I know they will enjoy sharing with their family and a great way for me to show that I care and appreciate them all year long. I have always wanted to design an incredible gingerbread house scene like what you see on TV or in magazines. But alas, I am not an engineer and would rather eat cookies then take hours to build with them. That is why I love The Pioneer Woman’s Gingerbread Cookies. I would love to try and make a gingerbread barn and farm animals sometime! After dinner have everyone put on their pajamas and load up the car with kids and cookies. Make sure to find a radio station playing Christmas music as you drive around the neighborhood and look at all of the lights and decorations. Some may be finished with their shopping list, some not even started, but for some of those extremely hard individuals to shop for, look into making them a gift. Again, Pinterest has loads of great ideas. Once you find something that fits the bill, make sure to include the rest of the family in making the gift. It doesn’t have to be perfect as long as it’s made with love and thoughtfulness. Well the holiday season is beginning to wrap up (hahaha… see what I did there?) and it’s time to finish wrapping those presents you have stashed under beds, in closets and behind storage containers in the garage that you vow to clean out in the spring. Set up a wrapping station with various bags, paper, tags, and bows along with loads of tape, scissors, and pens. Have the kids help wrap presents for dad and other family members. Once the kids are in bed, mom and dad pour a couple mugs of spiked cider and really get down to business wrapping. Set up a hot chocolate station while watching a Christmas movie by the glow of the tree. Everyone grabs a fun Christmas mug, fills it with hot chocolate and every “fixing”. Add bowls of marshmallows, caramel, toffee bits, cookies, cinnamon, pretzels, sprinkles, whipped cream, candy canes, and a little Baileys or Kahulua (adults only of course). It’s easy to get overwhelmed with the holiday season and forget to take some “we” time. 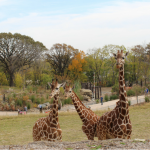 Reserve this evening as couple date night (kids optional). Finish up your shopping list, pick a favorite restaurant for a fancy meal followed by a hand in hand stroll around downtown to take in the lights and Christmas cheer. If you cant’ imagine a night away, stay in, grill filet mignon, open your favorite bottle of wine and light some candles. Christmas is a large travel holiday and as travel plans are finalized, airports and freeways are packed, it’s hard to take the time to enjoy the last couple days leading up to December 25th. Try to plan and pack ahead. 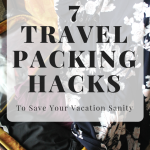 I love using these packing cubes to keep suitcases organized and make sure to plan for sufficient entertainment and snacks to help combat long commutes and flight delays. Today’s the day for final prep! Any last minute wrapping and cooking needs to be completed as Santa is on his way! Christmas Eve just has a special feeling… magic is in the air. 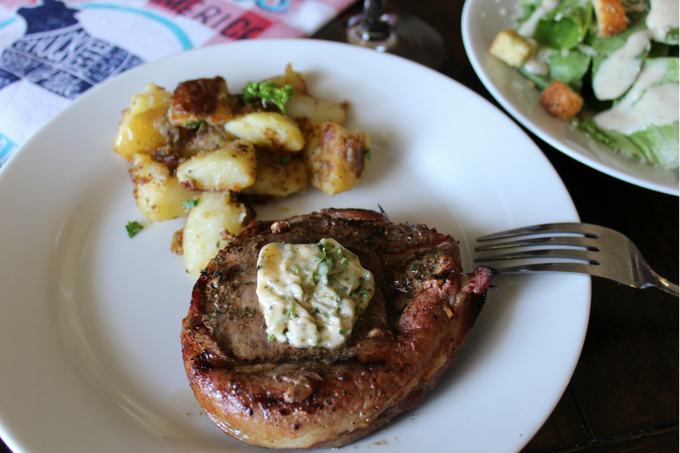 We always attend evening mass then it’s home for a dinner of grilled steaks, scalloped potatoes, and salad. My family also has a tradition of baking a “Happy Birthday” cake for Jesus and opening one present on Christmas Eve. Decked out in a new pair of jammies, fill a plate with cookies for Santa, and then off to bed early because Santa’s on the way! 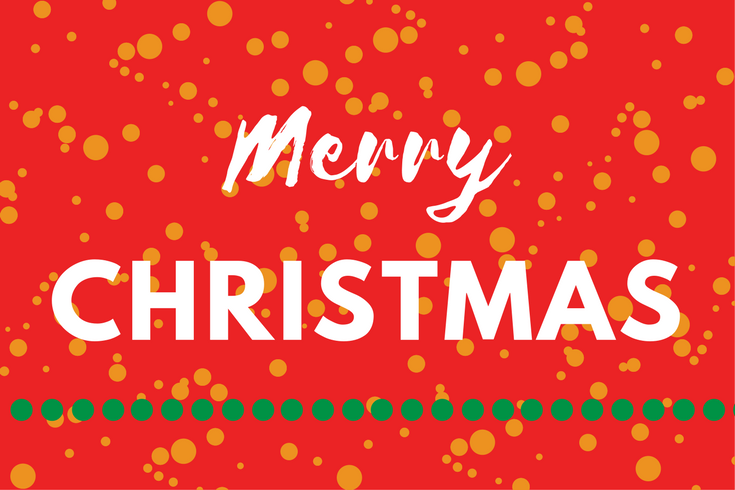 25 Days of Christmas Activities- December 25th: Merry Christmas! Presents and Pancakes! Once the living room is filled with bows, ripped paper and empty boxes, what better way to wrap up Christmas morning than a pancake bar. 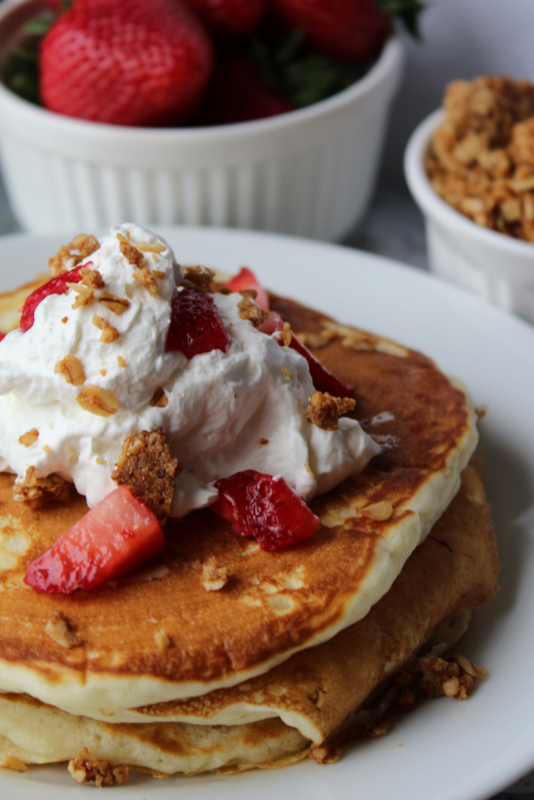 Make these delicious buttermilk pancakes and set out all the topping options imaginable: butter, maple syrup, whipped cream, nuts, fruit, granola, bacon, and sausage. Enjoy the day spending time with family and continue making memories. Everyone has a list of Christmas traditions that they share each year with their family. What are some of your favorite holiday memories? Share them below in the comments section.